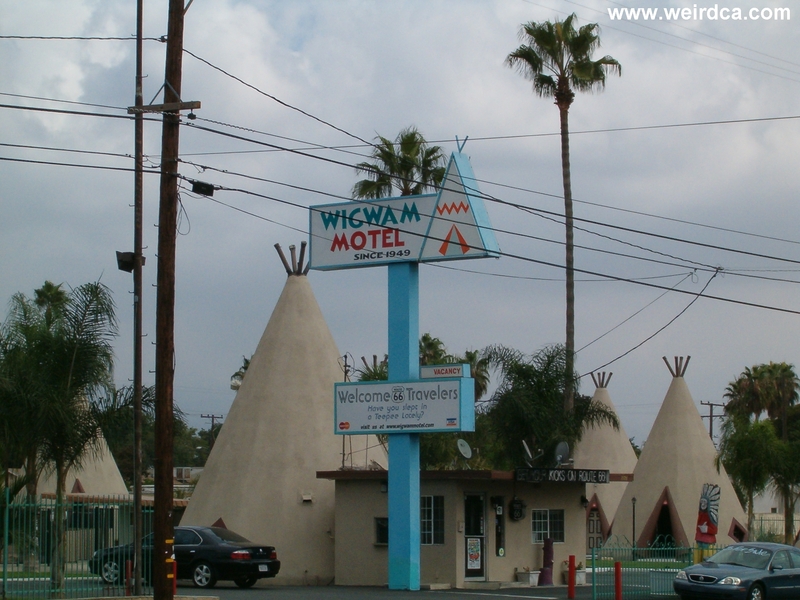 Most recently parodied in Pixar's movie, Cars, as the Cozy Cone Motel the Wigwam Motel in Rialto, California is one of seven Wigwam Motels originally built. Three of the original seven still remain: the one in Rialto, one in Holbrook, Arizona, and one in Cave City, Kentucky. The California and Arizona motels both lie on Historic Route 66. From 1933 to 1935 in Kentucky, Frank Redford built his first teepee-shaped cabins near Horse Cave, Kentucky and called it the Wigwam Village. 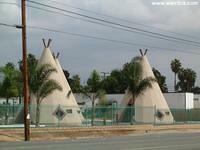 Redford supposedly drew the concept for the Wigwam from a tepee-shaped building in Long Beach, California. 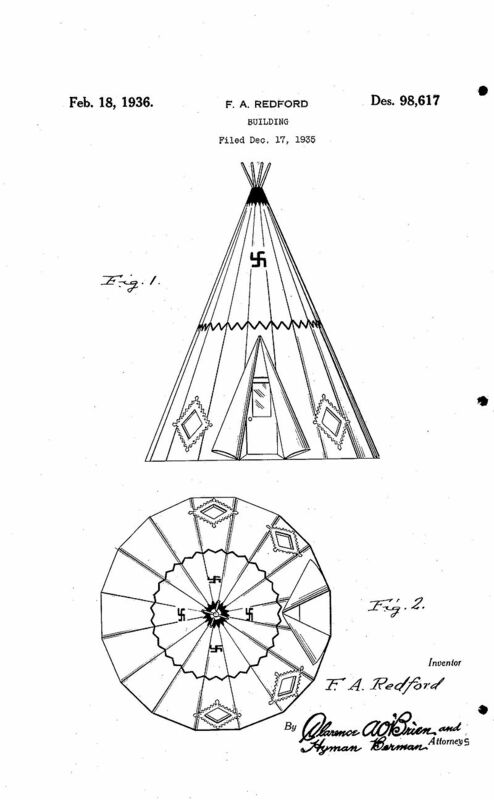 It is suspected that the building he saw was the TeePee Barbecue, which was sadly demolished in 1950. 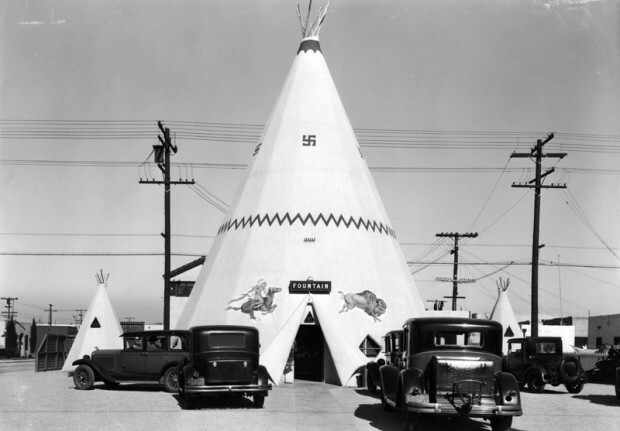 Rumor has it that Redford first owned a teepee shaped ice cream stand, then in 1933 built a gas station with a teepee shaped office and food stand. By 1935 he had added the six matching thirty foot cabins. In 1936 he obtained a patent on the concept for the exterior design and in 1937 built his second village in Cave City, Kentucky (one of the three remaining villages). By 1950, there were seven such villages, the last one being built in 1949 in Rialto, California. Like the first two Wigwam Villages, #7 was also built by Frank Redford, the other four were franchised to other owners for one half of one percent of the total profits. Wigwam Motel #7 consists of nineteen thirty foot wigwams, a BBQ area, and a swimming pool. There is additionally a base for a possibly never built twentieth wigwam. The wigwams are scattered around the larger lobby wigwam in roughly two arcs. In other villages, such as Wigwam Village #2, the wigwams are arranged in a semi-circle (one arc) around the much larger lobby wigwam. Wigwams generally had a rolled up flap design, with diamond shaped windows, and even poles sticking out of the top. Some villages possibly also had a zigzag design drawn across the middle of the walls. 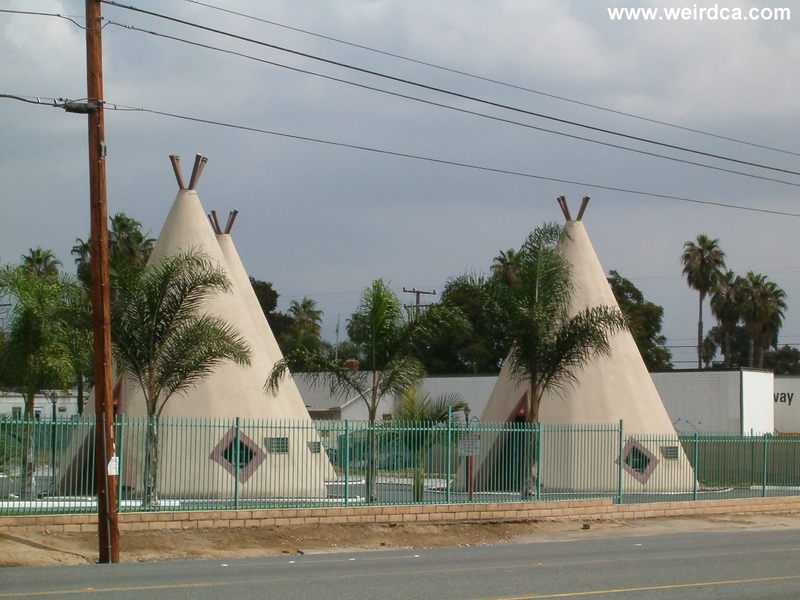 Although the address is listed as Rialto, Wigwam Motel #7 is pretty much in San Bernardino appearing on the boundary between the two cities. It was placed on the National Register of Historic Places in 2012. At one time it had the unfortunate slogan advertised outside its office of "Do it in a tipi", but the motel has been cleaned up since then. The original Wigwam Village in Horse Cave, Kentucky was demolished in 1981. #3 in New Orleans, #4 in Orlando, and #5 in Birmingham have all also sadly been demolished. 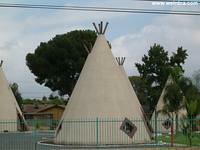 Wigwam Villages #2 and #6 are also historical places. 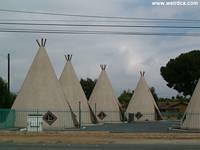 A Wigwam runs from $60 to $80 a night depending on if it is a weekday, weekend, and holiday. 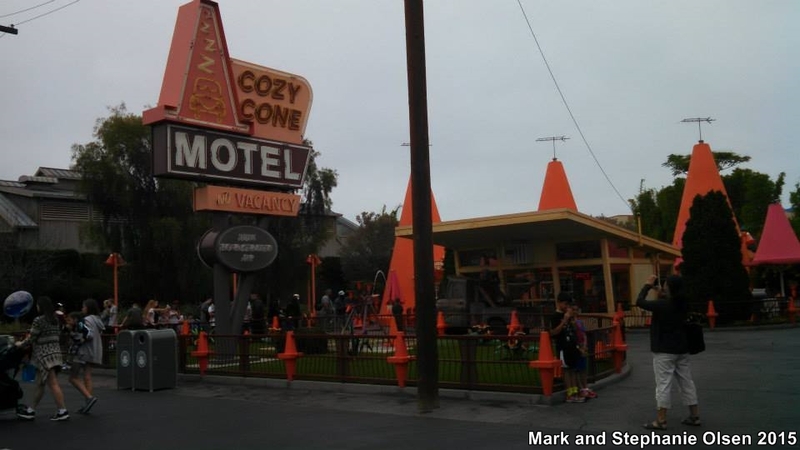 The motel appears in Pixar's film Cars as the Cozy Cone Motel where each room looks like a traffic cone. The motel is owned by the character Sally Carrera. Additionally other adornments in the motel are also traffic cones such as the lights and planters. 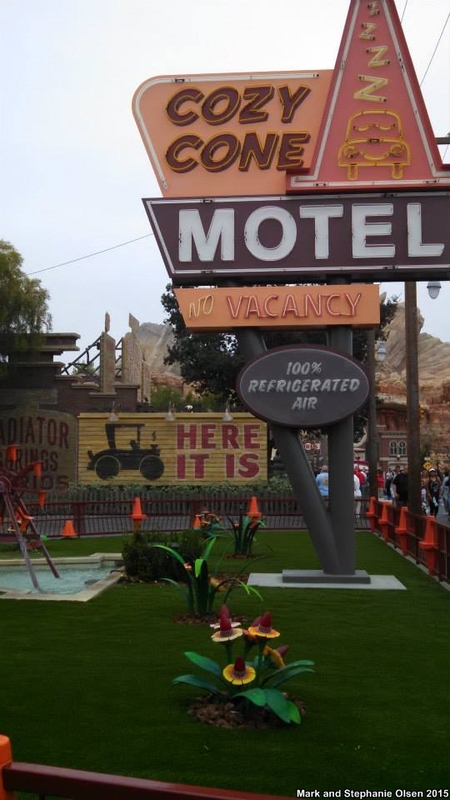 Disneyland has a real life version of the Cozy Cone Motel located in Cars Land inside Disney California Adventure Park. 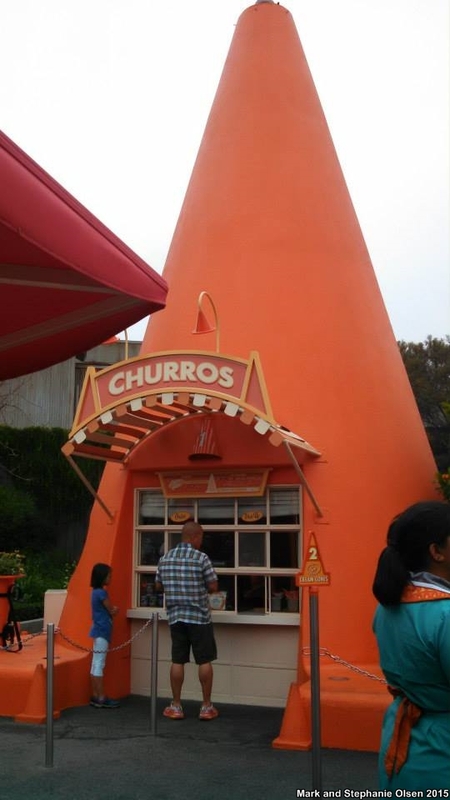 It is a sort of foot court, and there are five different cones each serving up a different type of food ranging from popcorn to pretzels to churros and even root beer floats. 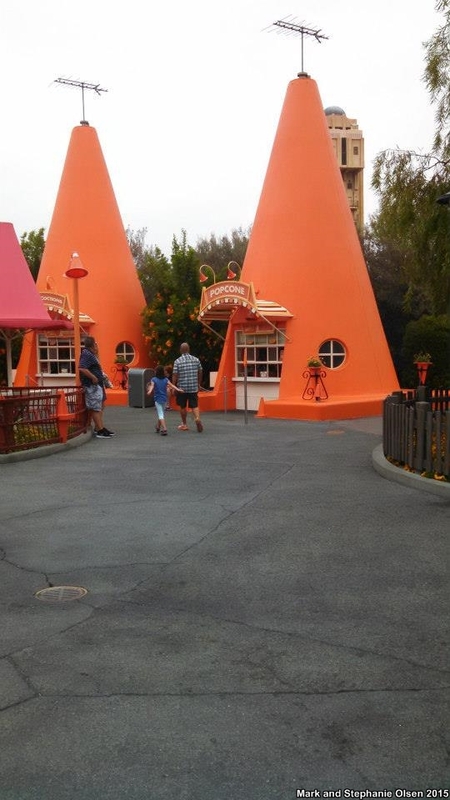 Pictures of Cozy Cone Motel located at Disneyland are courtesy of Mark and Stephanie Olsen. Back in the 80's my kids wanted to go stay there so a friend and I drove out there to see how much it would cost. The guy looked at us kind of strangley. I later found out it was mostly used for trysts. I am glad to see it's cleaned up, although 30 years too late. They changed the slogan, it used to say "do it in a tee pee" lol..